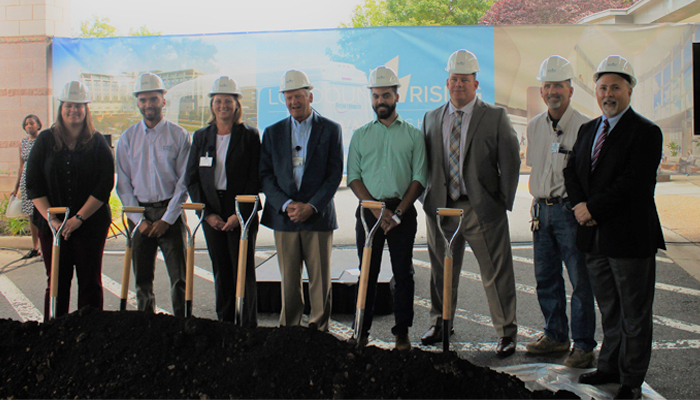 Inova Loudoun Hospital (ILH) and HDR Thursday celebrated the groundbreaking of a new patient tower at the hospital’s main campus in Lansdowne. The patient tower, which is being constructed by DPR Construction, is the next phase of the hospital’s $300M Master Plan expansion of facilities and services. HDR worked closely with RSG Architects to plan for further cardiovascular expansion in the new tower. 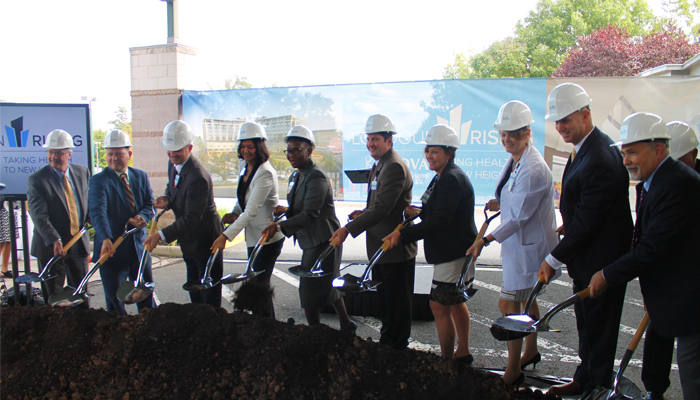 Generous benefactors in the Loudoun community, through the “Loudoun Rising” fundraising campaign, supplement Inova’s financial investment in the Master Plan. The $20M campaign supports building additional infrastructure, expansion and other critical initiatives, such as providing additional mental health resources for Loudoun County. To date, Inova Loudoun Hospital has completed phase one of the Master Plan including site work improvements to provide an increase in surface parking, a new south ingress and internal vehicle circulation boulevard, a new entrance-canopy and drop off area at the south entrance. As part of phase two, a new 766-space parking garage is now open. The patient tower is expected to be completed in 2020. For more than a century, HDR has partnered with clients to shape communities and push the boundaries of what’s possible. Its expertise spans 10,000 employees, in more than 225 locations around the world — and counting. The company's engineering, architecture, environmental and construction services bring an impressive breadth of knowledge to every project. HDR's optimistic approach to finding innovative solutions defined the company's past and drives its future. Inova works to shape the future of health through its integrated network of hospitals, primary and specialty care practices, emergency and urgent care centers, outpatient services and destination institutes. Invoa's commitment to health and wellness is further reflected in the company's sustainable practices. Inova is home to world-class researchers, expert medical specialists and renowned scientists, who are driving innovation to improve patient care, prevent disease and promote wellness. For more information, visit inova.org, or find Inova on Facebook, Twitter and LinkedIn.